As most Americans are well aware, the government shut down on October 1 because Congress failed to reach a budget agreement. If you visit the federal OSHA website, you will see the following notice: “Due to suspension of Federal government services, this website is not being regularly monitored.” As the days go by, the government shut-down is having immediate and widespread impact–including suspension of OSHA, the government agency responsible for regulating, tracking, and enforcing worker safety nationwide. As a result of the government shutdown, OSHA has furloughed more than 90% of its personnel and suspended its operations. Our Massachusetts workers’ compensation attorneys are dedicated to protecting worker health and in raising awareness of the potential risks employees face in the workplace. The Occupational Health and Safety Act of 1970 makes employers responsible for providing a safe and healthful workplace for employees. OSHA is the agency charged with ensuring that the conditions for U.S. workers are safe by setting and enforcing standards. Without funding, OSHA lacks the ability to carry out its duties including investigating complaints, providing training and education, or enforcing violations. 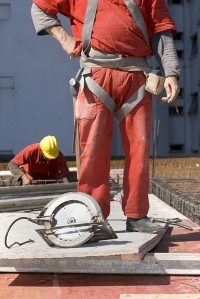 Authorities report that OSHA receives 400 to 500 complaints from workers every day. Without OSHA in operation, many of these complaints will go unanswered and dangerous conditions could pose serious hazards for members of the U.S. workforce. According to the contingency plan set forth by Assistant Secretary of Labor for OSHA, David Michaels, OSHA is only authorized to staff enough personnel to respond to the most significant workplace emergencies, including fatalities, catastrophes and imminent threats. The Shutdown Contingency Plan was approved and the overall workforce of 16,304 employees was cut down to 2,954. While House and Senate lawmakers work to figure out their differences and jumpstart the government, worker safety and health may be at risk. According to recent reports from the director of regulatory policy at the Center for Effective Government, brief government shutdowns in 1995 and 1996 did impact worker health and safety. During that time, only 10% of OSHA employees were working and the Department of Labor estimated that 95% of complaints would not be answered. During the last government shutdown, the Secretary of Labor, Robert Reich sent a briefing to his department managers indicating that most of the activities focused on protecting workplace hazards would have to be shut down. The current contingency plan has kept 6 members of the executive staff, 4 compliance personnel, 2 engineers, 4 members of the IT department, an agency emergency manager, support staff, and only a handful of regional personnel. The shutdown has also forced furloughs in other departments that could impact worker health and safety, including the Occupational Safety and Health Review Commission (OSHRC). The U.S. Chemical Safety and Hazard and Investigation Board which investigates chemical injuries and incidences has only kept 3 of its 40 employees on. The Department of Labor and OSHA attorneys have been furloughed during the shutdown. This means that no prior cases and claims can advance until the shutdown is over and these government offices and agencies are reinstated. Despite the warning on the OSHA website, the agency still provides a phone number in the case of emergency: to report a workplace fatality, hospitalizations, or an imminent danger situation call1-800-321-OSHA (6742). Employers and workers should also keep in mind that while the federal government has impacted employees and agencies, OSHA approved state-run programs should stay intact. For state operated plans, normal day to day activities should continue. If you or a loved one has been injured on the job in Massachusetts, call the Law Offices of Jeffrey S. Glassman for a free and confidential consultation to discuss your workers’ compensation claim– 1-888-367-2900.